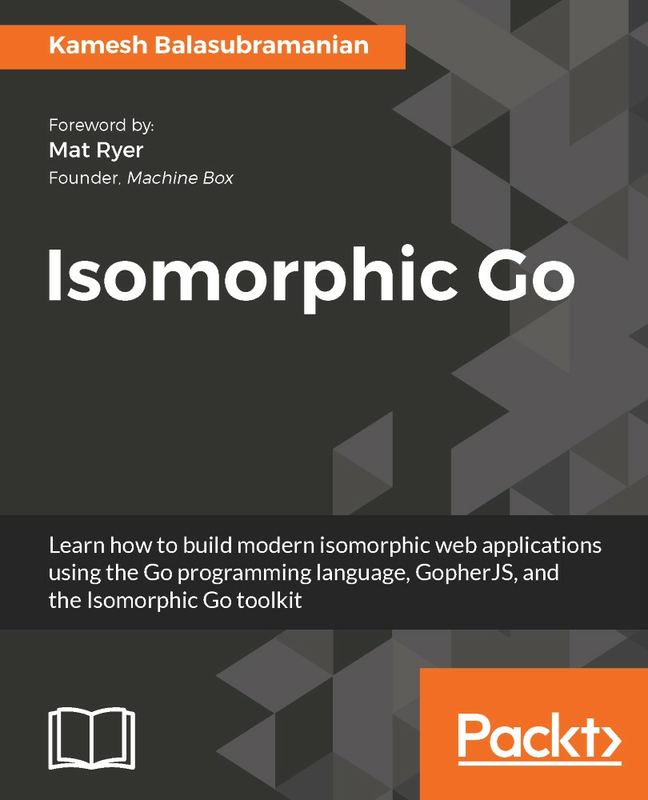 Isomorphic Go begins with an in-depth exploration of the benefits provided by the isomorphic web application architecture. You’ll be introduced to the Isomorphic Go toolchain, and how it can help you write Go code that functions across environments. You’ll learn how to create Go programs in the web browser using GopherJS and how to render isomorphic templates. Then you’ll be introduced to end-to-end application routing, use isomorphic handoff to seamlessly transition state from the web server to the web browser, and compose isomorphic forms that have the ability to reuse form validation logic. You’ll be exposed to advanced concepts including the implementation of real-time web application functionality with websockets and the creation of reusable components (cogs) that are rendered using the virtual DOM. Finally, you’ll see how to deploy an Isomorphic Go web application to a production environment.